A new mall and 2,000 housing units are set to come up near Global Village in Dubailand. Talking to Emirates 24|7, Robert Welanetz, Chief Executive Officer, Majid Al Futtaim Properties, said the company will be launching a mixed-use development close to Global Village, which will house a regional mall, residential units and hotels. According to US-based International Council of Shopping Centers, a regional mall houses general merchandise or fashion-oriented offerings, which are typically enclosed with inward-facing stores connected by a common walkway with parking surrounding the outside perimeter. A super-regional mall is similar in concept to regional malls, but offering more variety and assortment, the council states. 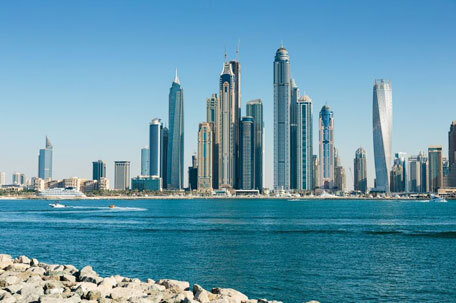 Spread on an area of 750,000 square metres on Sheikh Mohammed bin Zayed Road, the project will have over 2,000 dwellings, though the split between apartments and villas has not been finalised, with the mall having a retail space of about 1.2 million square feet. “We have purchased the land and we will go through a detailed planning proposal to get full approval, but we don’t expect any difficulties with that,” Welanetz said, adding the first homes will be launched in 2020/2021. The company will invest Dh30 billion in the UAE’s real estate market, building 10 malls, six hotels including the mixed-use project. These projects will be delivered between 2019 and 2021. “We are not building for the Expo but we are building for sustainable population growth and tourism before and after,” he asserted. With operations in 14 international markets, Majid Al Futtaim owns and operates 19 shopping malls, including Mall of the Emirates, 12 hotels, and three mixed-use communities. Last week, Emirates 24|7 reported that the first phase of the Mall of the World was under design, which was expected to break ground next year. In April, Mohammed Al Habtoor, Vice-Chairman and Chief Executive Officer, Al Habtoor Group, told Emirates 24|7 that the Al Habtoor Polo Resort & Club in Dubailand will open in December 2016. “Forty per cent of the project is complete to date. We had initially anticipated finishing everything by the end of September but we had a two-month delay so we are targeting December as 100 per cent completion,” he said. In February, Dubai Properties Group (DPG), the real estate arm of Dubai Holding, launched Serena, a residential project in Dubailand, with the first phase of the five phases expected to be completed before end-2018.